There’s a nice Q&A with Tim Kasher at Surviving the Golden Age. Tim talks about the early days of Cursive, the differences between guitarists Stephen Pedersen and Ted Stevens, and that Cursive will be “somewhat active in 2018.” Read it here. While we’re on the subject of Cursive, Noisey asked Kasher to list/rank his favorite Cursive albums. Tim and I agree on No. 1 (though we disagree on where Domestica ended up). Check it out here. 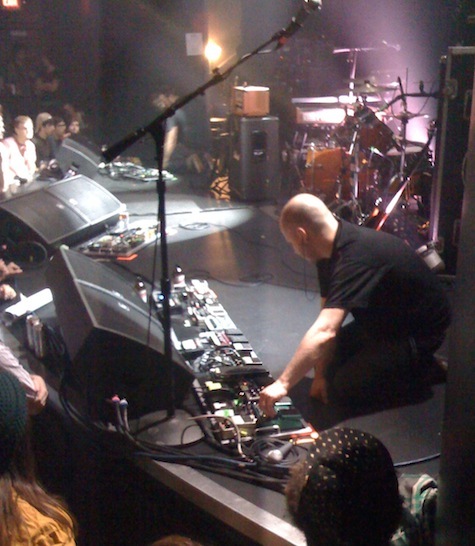 Tonight’s that Mogwai show at The Waiting Room I wrote about yesterday. It’s an early show with an 8 p.m. start time, with one opener – “dark synth” Texas artist Xander Harris. If you’re going, bring ear plugs. The last time I saw Mogwai they were incredibly loud. Don’t say I didn’t warn you… $26. 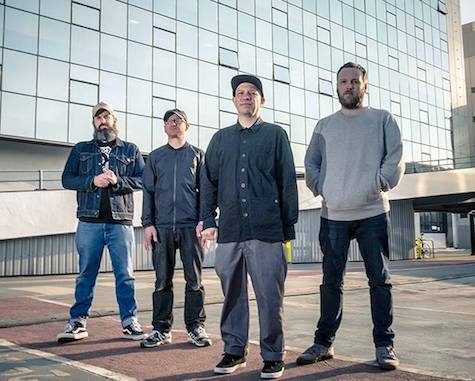 Mogwai plays The Waiting Room Thursday, Nov. 30. Mogwai is a Glaswegian ensemble that creates intricate, throbbing headphone-friendly instrumentals. Their debut album, Mogwai Young Team, released in 1997 on Chemikal Underground and Jetset in the U.S., is considered a post-rock masterpiece that helped open the door to other instrumental-heavy art-rock projects. It was followed in ’99 by Come On Die Young, their first release on indie stalwart Matador Records that led up to their commercial breakthrough, 2001’s Rock Action. The band’s latest, Every Country’s Sun (Temporary Residence, 2017), holds tight to the formula that has made them indie-rock icons — songs that start with a quiet guitar melody, keyboard or soothing percussion line that slowly build-build-builds as if climbing a mountain until they reach some sort of breathless peak — usually at ear-bleeding wake-the-neighbors decibels — to slowly come back down in wait for the next mountain to conquer. It’s a formula that’s worked for 20 years, along with a live show augmented with intense stage lighting, blinding strobes and unmatched sonic drama. Find out for yourself Thursday night at The Waiting Room. I caught up with Mogwai multi-instrumentalist Barry Burns and asked him to take the dreaded Ten Questions survey. Barry Burns: Eek. It’s always changing and very often, too, so I’d be lying to name one. The concerts and hanging out with some of the funniest people I’ve ever met. Traveling on planes and being away from my wife and daughter. Yes, we’ve been lucky in some ways but also worked constantly the entire time we’ve been together. I’d like a go at proper cooking. Having a lot of time at home for long spells gives me time to practice that so I’m getting better. I’d probably hate being a taxi driver. Only that a guy who used to tour manage and do our live sound used to live in Omaha and he stole 10,000 dollars from us. Mogwai plays with Xander Harris Nov. 30 at The Waiting Room, 6212 Maple St.. Tickets are $23 Adv./$26 DOS. Showtime is 8 p.m. For more information, go to onepercentproductions.com. Mogwai at The Slowdown May 11, 2009. I’ll make this simple: Digital Leather is one of my favorite bands. They’re playing for the first time in Omaha since last November this Saturday night at O’Leaver’s. Expect to hear plenty of new material from upcoming releases. Joining them will be Millions of Boys and Baby Tears. The cherry on the cake: The first 25 paid through the door will receive a copy of the Digital Leather/Cola Freaks split 7″ courtesy of Vice Records and Scion A/V. $5, 9:30 p.m. Do Not Miss This One. I jumped ahead of myself. What about tonight? The most interesting show this evening, unfortunately, is in Lincoln, where West Plains, Missouri natives Ha Ha Tonka play at the Bourbon Theater. Their latest album, Death of a Decade, was released on Bloodshot Records. Foodies may recognize them from their recent appearance on Anthony Bourdain’s No Reservations show on The Travel Channel. They take alt country to a whole new level. Headlining is Kris Lager Band. $10, 9 p.m.
Also tonight, Damon Dotson plays at Slowdown Jr. with Zach Short. $8, 9 p.m. In addition to the return of Digital Leather, Saturday night is Mogwai at The Slowdown, with Errors opening. This will be the first time that a baseball game at the new TD Ameritrade Park will overlap a big show at Slowdown, but let’s face it, it’s just Creighton Vs. Bradley, and does anyone really care about Creighton baseball? The game, which starts at 6:30, will probably draw a few thousand, which should leave plenty of parking in and around the Slowdown compound. Now if this was CWS… but who am I kidding? Slowdown will be turned into a giant beer tent (and money printing operation) for those two weeks of June. Anyway, Mogwai is freaking amazing live, and if I wasn’t going to see Digital Leather, I’d be down there getting my ears blown off with you (don’t forget your earplugs, seriously…). Here’s my review of their May 2009 show at Slowdown. $20, 9 p.m. Finally, Sunday night is the return of The Good Life, who haven’t played around here in a long, long time. They’re playing at Slowdown with Conduits, Honeybee and Hers and Fortnight. The 5-star line-up is a benefit for Omaha Girls Rock!, a camp for young girls to learn and play music. All bands performing have members who will be teachers and contributors in the program, and all proceeds will go toward the camp. Find out more about OGR! right here and read Hilary Stohs-Krause’s feature on the program (including perspective from OGR! founder/executive director Stefanie Drootin) at Hear Nebraska, right here. Great show for a great cause. $12, early start time of 8 p.m.